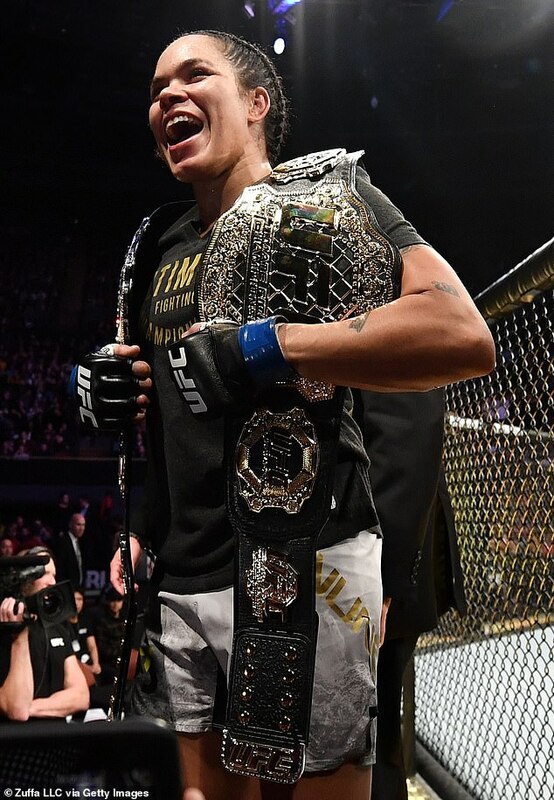 Amanda Nunes, world’s greatest female fighter! 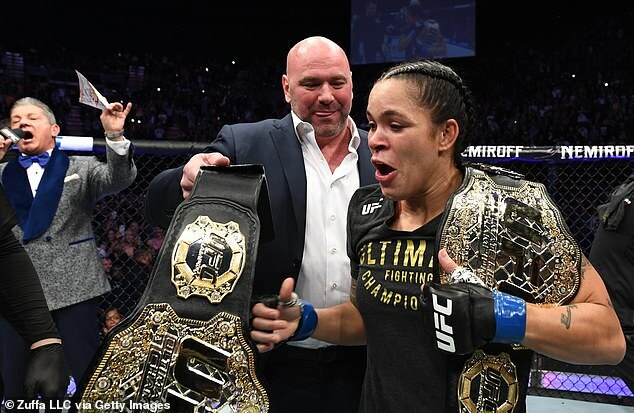 Amanda Nunes has cemented her place as the greatest female fighter in UFC history by becoming the first woman to hold two titles simultaneously with a first-round finish of Cris Cyborg. Both fighters came out swinging early on but it was Nunes who landed the first decisive blow of the bout having stepped up in weight class. Nunes then blasted the former featherweight champion out with an overhand right just 51-seconds into the contest, sending her fellow Brazilian crashing to the canvas not long before the fight was called to a halt. Nunes also knocked out Ronda Rousey in less than a minute two years ago, and she has victories over bantamweight champion Miesha Tate and future 125-pound champion Valentina Shevchenko. Nunes’ punching power is often too much for her male sparring partners, and she carved up Cyborg with astonishing ease despite a size disadvantage. Justino had won 20 consecutive fights since her MMA debut in 2005, and she had dominated since the inception of the UFC’s 145-pound division, which was created largely as a showcase for Cyborg’s talent. Just the second loss of Cyborg’s career, the loss marked the first time she had been knocked out in MMA competition. Cyborg adds to a long list of all-time great names that Nunes has defeated in the past, including Ronda Rousey, Valentina Shevchenko, Meisha Tate and Germaine de Randamie. The result was a shock to UFC commentator and post-fight interviewer Joe Rogan, who was visibly shocked to see the underdog Nunes apply her knockout blow while he was calling the fight. Cyborg took her defeat gracefully, writing in a statement on Twitter: ‘Today was not our day, but I want you to know that I am very grateful for your affection! Life is like that one day we lose and one day we win! ‘[The] Belt for me has always been symbolic, the most important is to be a champion in the lives of people making a difference in this world! Nunes is the third fighter in UFC history to hold two title belts simultaneously, joining Conor McGregor and Daniel Cormier.